We are proud to say that we stock anywhere from 500 – 1,000 vehicles at any given moment. That means you will have a lot of options to choose from when shopping with us. We carry any color, trim, or special edition you can think of, which means you won’t be waiting for your new vehicles to be delivered, which can take weeks! We also have about 180 pre-owned vehicles, valued at $4 million dollars. And if we don’t have the vehicle you want, we have a team of wholesalers who can find it for you! While we sell hundreds of vehicles each year, we service much more. In fact, in 2016 alone, we helped a whopping 30,488 people through our service department! These happy customers had either bought from us or simply knew that the Bartow Ford servicing center offers the best there is to be had. Our certified technicians operate a total of 68 servicing bays, which are enough to help customers with minimal wait time. One of our most popular services is handled through our Quick Lane, which allows anybody to get their vehicle taken care of without having to make a prior appointment, giving you as much flexibility as possible. We even open our service department on Saturdays, unlike most other repair shops. Furthermore, we have an extensive stock of parts used in repairs totaling over $1.8 million. Our in-house parts department is remarkable because it allows us to make any repairs quickly, often on the same day, allowing our customers to get back to their busy lives. It’s one of the reasons our Quick Lane is so popular choice for our customers. 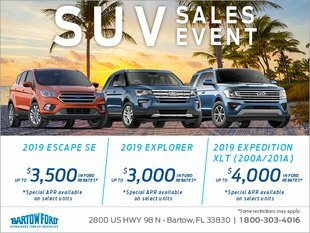 If you hadn’t made your mind up about the car dealerships in Lakeland, FL, we hope this blog has helped. 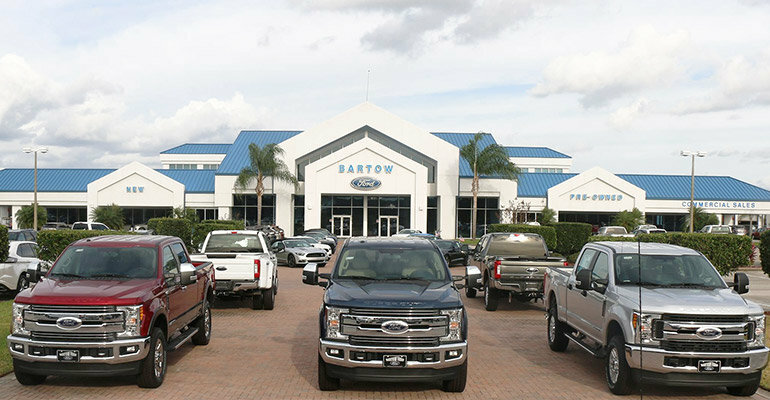 Bartow Ford truly is different, and we prove it. Visit us Monday through Saturday at 2800 US 98 N.